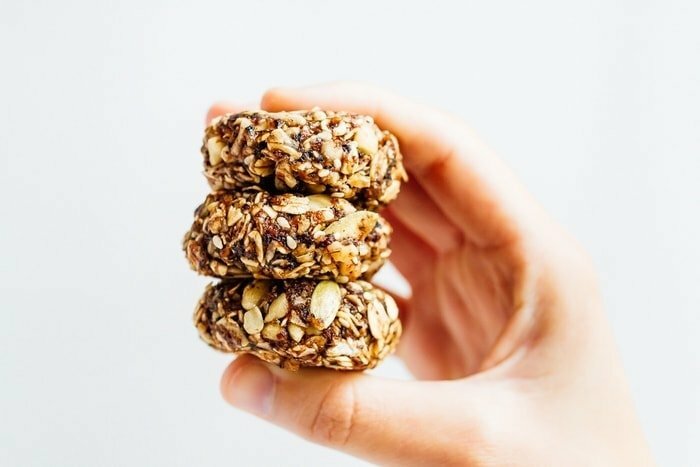 Eat like a bird with these bird food energy bites! 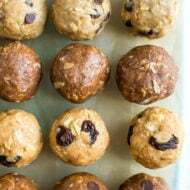 Made with whole grain oats, nuts, seeds and dried fruit, these bites are a nutrient-rich treat perfect for on-the-go snacking. Vegan + gluten-free. This summer while visiting Portland, Maine my friend Jenny introduced me to these oat based snack bites called granola bits which are made locally in Maine. 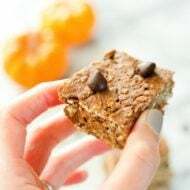 They were the perfect road trip snack and after eating them I quickly realized that they were similar to a fruit and nut bar recipe I posted years ago, but better. Naturally I decided to experiment in the kitchen upon returning home (after our 14 hour truck drive) and the result is this recipe. They legit look like those peanut butter pine cones coated in bird seed so it totally works. <– PS: If you’re looking for a fun craft to do with kids, here’s a DIY recipe for the bird seed pine cones. 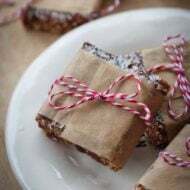 I remember making them at vacation bible school and sneaking bites of the peanut butter. Obviously my love for pb runs deep. Oh well, I’m just excited to finally have a fun treat that goes along with the EBF name because it took me waaaay too long to make this happen. 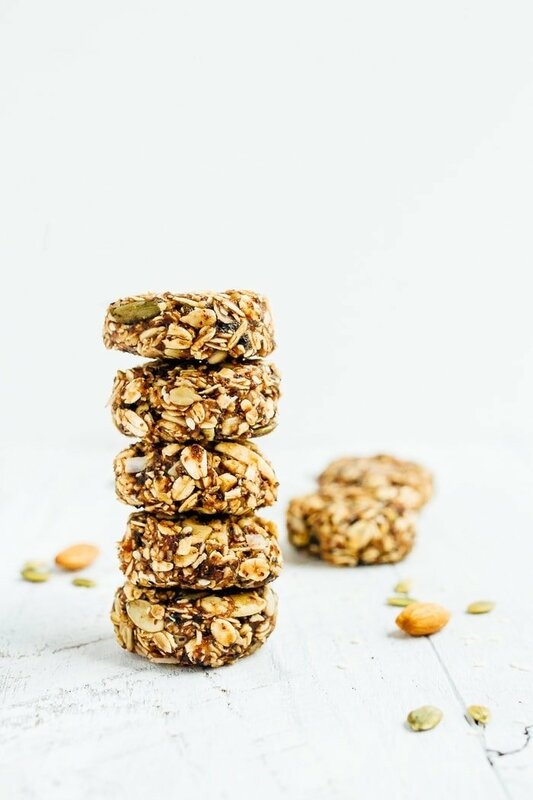 These bird food babies are loaded with whole grain oats, nuts, seeds and dried fruit so they offer a ton of nutrients and pack a lot of energy into one little bite. I used almonds and walnuts for the nuts, pepitas, sunflower and sesame for the seeds and some coconut flakes. And for the sticky base I used a mix of raisins and dates. This recipe is pretty customizable so feel free to play around with a different combo of nuts, seeds and dried fruit. I bet dried cranberries, apricots, fig and/or prunes will work great. 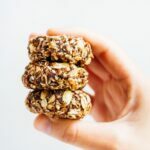 I know you’re going to love these energy bites because they’re easy peasy to whip up and one batch makes about 30 bites so you’ll have plenty on hand for snacking throughout the week. They’re perfect for kiddos and for anyone who is active throughout the day and needs a an extra boost of energy. I could also see them being a lovely treat to pack for a long bike ride or hike. Enjoy! 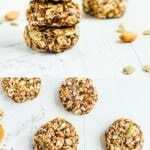 Made with whole grain oats, nuts, seeds and dried fruit, these healthy snack bites are a nutrient-rich treat perfect for on-the-go snacking. Vegan + gluten-free. Add oats, almonds, walnuts, pepitas, coconut, sunflower seeds, maple/honey, sesame seeds, coconut oil, vanilla, cinnamon and sea salt in a large mixing bowl. Toss to combine. Add dried fruit to a food processor with the chopping blade and process until the mixture is completely chopped and forms into a big, sticky ball. Pull the dried fruit from the processor and break into small pieces. Add it to the bowl with the oat mixture and use a plastic spatula or your hands to combine everything together. Once combined, form bites into small cookie shaped pucks (or roll into balls). Place on a baking sheet lined with parchment. Enjoy right away or store in the fridge for later. Will last 1-2 weeks in the fridge or 1 month in the freezer. 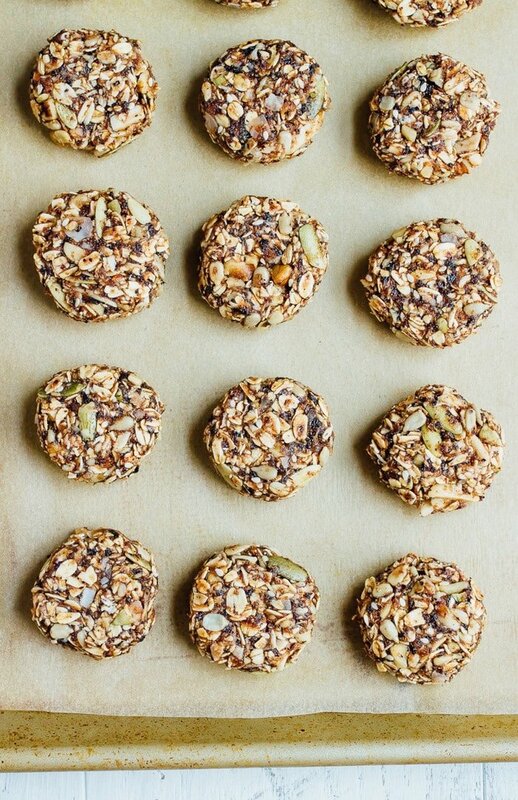 If you make these bird food energy bites let me know how they turn out in the comment section or share a photo on social media. Just be sure to tag me (@eatingbirdfood + #eatingbirdfood) so that I see it! Yum, these sound like a great on the go snack. Thanks Emily! They’re so tasty!! YES!! So good. I keep buying them. I’ll make them soon!!! Thank you! Hah! I hadn’t even thought about some of the searches that lead people to your site. I bet that is interesting! 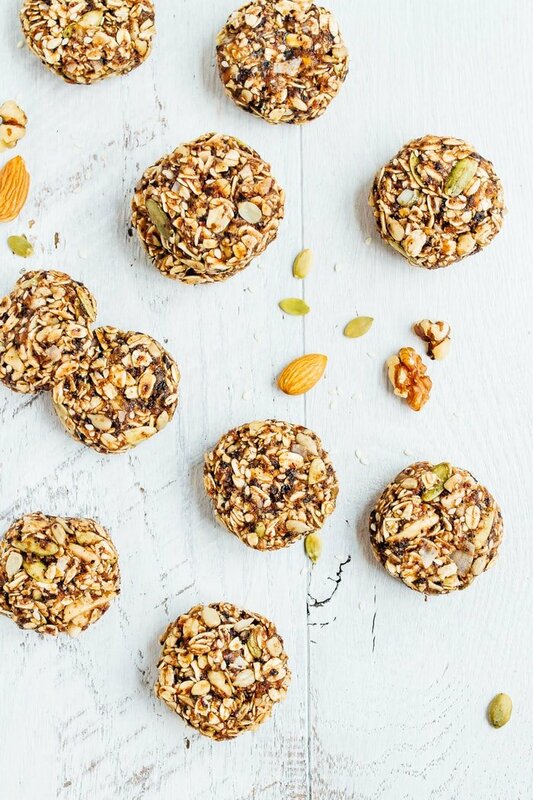 These look like the perfect bird food bites! any idea on how you could make this nut-free. i would love to send with kids to school, but they aren’t allowed any nuts. This looks perfect. It’s like a improved version of granola bar. Suitable to carry everywhere and have it at anywhere I want. Can birds actually eat this though? I don’t think so. These are for human consumption. I made these today and fell in love! I left out the raisins and instead of cutting the dates in small pieces, I used frozen date puree I had on hand, 1 heaping cup seemed like the perfect amount for everything to hold together nicely. So healthy! One cookie is just what you need for between meals cravings. Thank you! What if you don’t own a food processor?